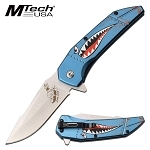 Mtech bomber lady luck knife with sharp attack handle spring assisted pocket knife. 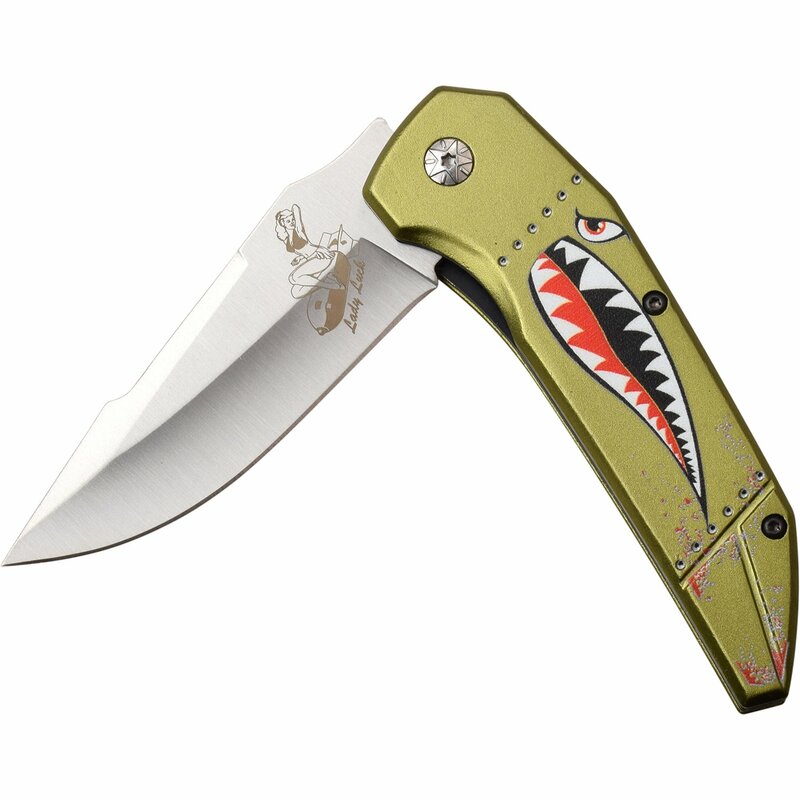 Pocket knife has cool art work on blade and handle. 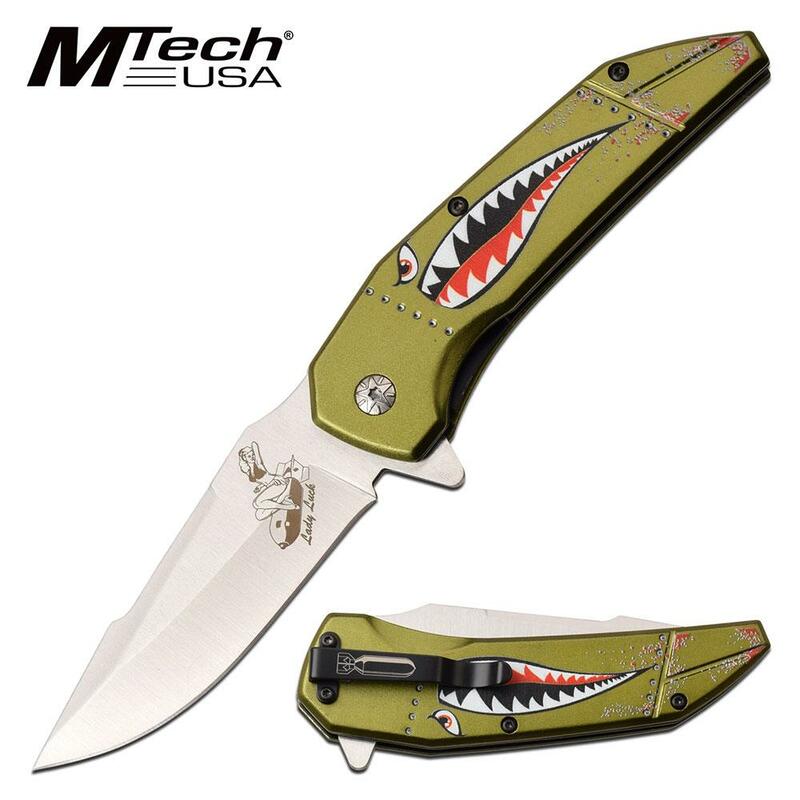 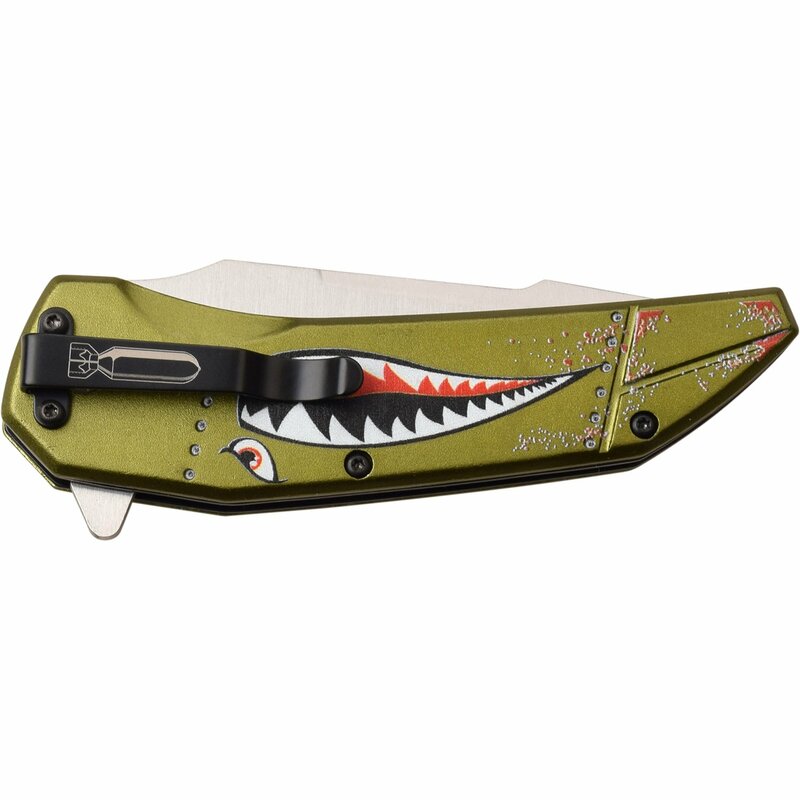 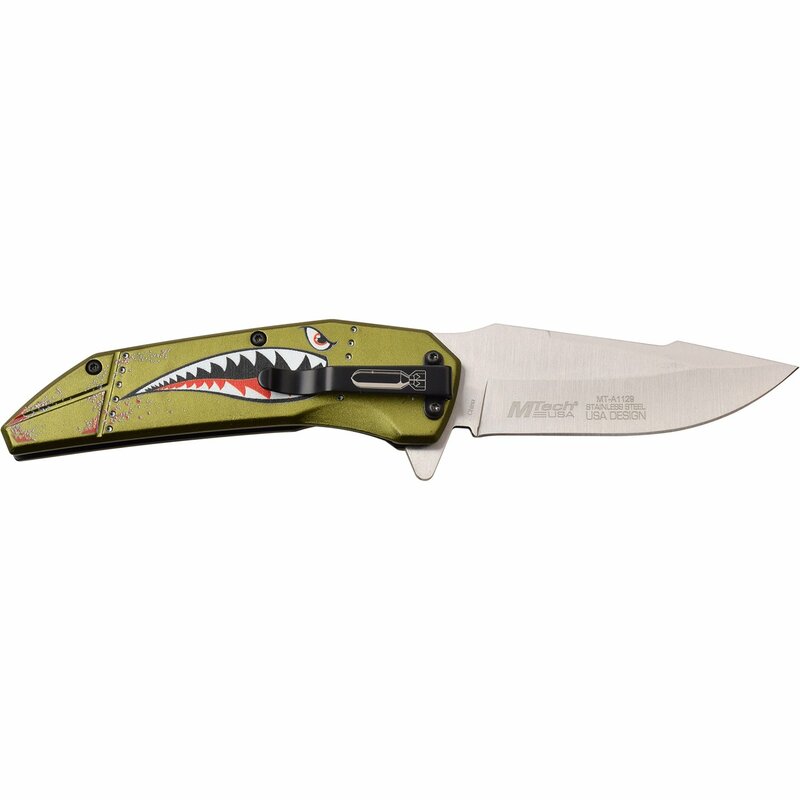 Mtech knife assisted opening knife with fantasy military shark head handle and bomb lady luck on blade. 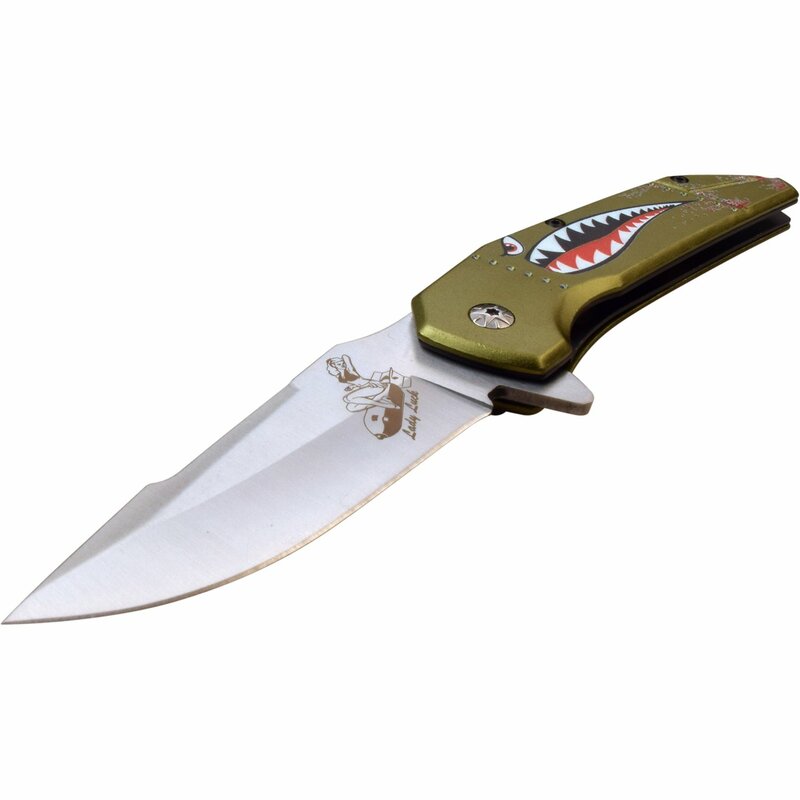 The knife is 8 inch long open length with blade length of 3.5 inch. Anodized aluminum handle is 4.5 inch long.